NASHVILLE, Tenn. -- As World Malaria Day approaches on April 25, Imagine No Malaria is asking supporters to #CovertheNet to raise awareness across social media networks about this killer disease that claims the life of a child every 60 seconds. 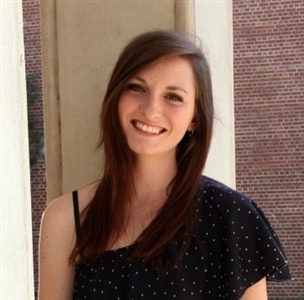 Kylie Foley joins the Florida Conference staff as Imagine No Malaria field coordinator. She will facilitate the new Florida Conference partnership with Imagine No Malaria . Read more. •Change your Facebook cover image using the one we have posted on our Facebook page at Facebook.com/imaginenomalaria. Like our page and check back for shareable videos and photo posts. •#CovertheNet with prayers for those at risk of death from malaria by posting a prayer on our Facebook wall on or leading up to April 25. Imagine No Malaria is an extraordinary ministry of the people of The United Methodist Church that is dedicated to eliminating deaths from malaria in Africa through prevention, treatment, education and communication. Through generous support, this goal has never been closer in reach. Malaria’s death rate is half of what it was in 2006; however, there is more work to be done as this preventable disease still claims a life every 60 seconds. To learn more, follow Imagine No Malaria on Facebook, go to Twibbon, or join the conversation online using the hashtag #CoverTheNet.